After you have treated (for Epizootic Rabbit Enteropathy) and it seems you are clear, what then? I know you can seem to be clear and then it hits again, and then again. Are the rabbits that did not get sick carriers? Did you miss something when you were disinfecting facilities? Does it run its course and then re-infect in some way? Why did I get it...not moving any rabbits around, hauling anywhere or bringing in new stock...but my herd got it anyway. If it is not something in the feed that is causing it why does changing feed or stopping feed and only offering hay seem to help? Is it the protein, fiber...nothing about this seems to make sense. If highly contagious why doesn't every rabbit get it...why is it just choosing random rabbits in your barn...in my case it seemed to only effect nursing does, weanling and juniors in my grow out pens...all of which are on free choice feed. Recently I have weaned new litters and put them on a limited amount of pellets but free choice hay. Their overall appearance is not what you want - they look poor, no fat cover over the back but they are up and hungry and ready to eat when you put the feed in and they are alive and not sick. I am hoping if I can get them through the growing stage then I can put them back on full (not free choice) feed and they will pick back up. Is this the right thing to do or should the entire herd be disposed of....burn your facilities, bury your supplies and start over with new stock in a new State....What do I do??? Oh and another thought...if you are a commercial producer and you have this and you manage to pull your fryers through are they ok for human consumption? I know Corid is used for treatment in many herds and is not labeled for rabbits...what is the withdrawal time before butchering?? So sorry Anon! I feel your confusion. No one seems to know much about Epizootic Rabbit Enteropathy, including me. Researchers still have no idea what is causing the syndrome, whether bacterial or viral, and this makes answering your questions nearly impossible. But: I’ll give you my overall impressions. Please take this as opinion only, as I am not a vet and not a research scientist, but I have raised a lot of rabbits over the years. ERE IS infectious, but not consistently. Meaning, as you noticed, that various animals fall sick and others do not. Though, in your herd you did notice a bit of a pattern. 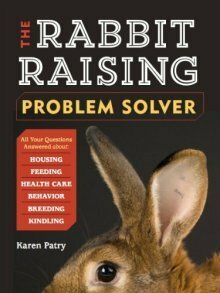 Yes, your rabbits can get exposed away at a show and bring the infective agent home, but still, the fact that the disease can hop-scotch around the barn striking some rabbits and ignoring others seems to be evidence that the conditions under which the disease develops are more complex than just an infection. The meaning of the word epizootic refers to a sudden epidemic of the specified disease in a herd. In this case, the word also includes the disease itself. A hypothesis that might fit all the circumstances goes like this: The causative organisms may be ubiquitous in the barn’s environment at the point of an ERE outbreak. Some threshold is one day exceeded where the immune system of certain rabbits can no longer overcome the pathogenic organisms. They may no longer be able to mobilize the natural killer cells and other protections provided by the immune system because the germs are too many or too strong. If just one factor of their digestive tracts is off (say, feed balance), the susceptible rabbits fall off the edge of health suddenly from immune exhaustion, while other animals in the herd are still managing to cope. If ERE strikes again and again, it may be because the causative organism remains in the environment in high numbers and the secondary conditions that result in ERE have not changed. There are many similarities between ERE, and enterotoxemia and mucoid enteritis, though not all the mechanisms are fully understood. This is why I think the etiology of ERE might be a combination of a disease organism and another factor or factors that unfortunately come together like a perfect storm. --I don’t know why your rabbits got sick, but I suspect a combination of factors, including the disease organism and dietary factors, and maybe some other sort of stressor. --I don’t think the problem is primarily the feed, but I suspect that adjusting the feed might help the rabbits’ overall health. --I think you’re on the right track with how to help your rabbits. --If you are a commercial raiser, please follow the withdrawal times listed in the drug inserts. If you’re not sure, allow for a longer withdrawal time. --As long as the outbreak is current, take from others’ experiences and try the drug treatments they have tried to see if the tide of disease can be turned. --Do a deep clean in the barn – power-wash the walls, ceilings and possibly the floor. Think clean, not sterile. If you can significantly reduce the presumedly elevated numbers of organisms in the environment, the theory is that the rabbits’ immune systems can then rebound and fight back. --Continue feeding hay and limiting pellets as needed. This helps to address a presumed dietary component of ERE. --I would also explore adding fresh fodder to the rabbits’ rations, only because I believe that fresh living food must certainly have living nutrients and combinations of nutrients that will boost the rabbits’ overall health and immune function, nutrients that commercial pellets have lost due to heat from processing (speaking now as a registered nurse, albeit a retired one). --By fresh fodder I mean hydroponically raised sprouted non-GMO wheat, oats or barley. --I would also add a pinch of BOSS to the feed daily for the same reason (it is a living food that is low carb and high fat). I would feed it at least until the outbreak is a thing of the past. The added fat may help the rabbits replace their muscle and fat stores without elevating carbs. Unfortunately, I don’t know if I’m on the right track with all of the above; I would love to make corrections if needed. I hope other rabbit owners and breeders who have experienced an ERE outbreak will weigh in on this discussion and offer solutions. Thank you in advance!